After 26 years CURE needs a “Nip & Tuck”! CURE has qualified for a $25,000 Small Cities Commercial Rehabilitation Grant that we’ll receive if we raise a $7,500 match. This match will help us with more than 50% of our renovation project. The To-Do-List includes replacing the front windows and doors, point-tucking the bricks on the lower level, resurfacing the upper level, recapping the overhang, updating the signage, replacing the back stairs and deck that provide access to the street level, and the remodel of a bathroom on the upper level of the building. The total cost of the “Nip & Tuck” is estimated at $48,500. Your gift will be matched 3:1 with our grant up to $25,000:$7,500. Beyond that grant, we need to raise an additional $16,000 to complete the project. We can do this with your help! Every gift gets us that much closer to our goal of $23,500. To put it plainly, CURE is a rural organization made up of people who care about the well-being of their neighbors, the health of the land and water, and the legacy we leave for future generations. Being a rural-based organization means our office is located on the main street of Montevideo a town of about 5000 people in southwest Minnesota. Maintaining an old building has its challenges, but we feel it’s important to keep our physical presence here as we work on the issues of rural democracy, civic engagement, energy democracy—advocating for locally owned and locally produced power, and a water ethic for Minnesota. However, we aren’t funded to keep our old building functioning. Thus, we come to you, our members and community, to help us keep our building safe and functional for a little while longer. When we don’t need to worry about the building’s overhang falling down, it’s easier to focus the important issues we tackle every day. 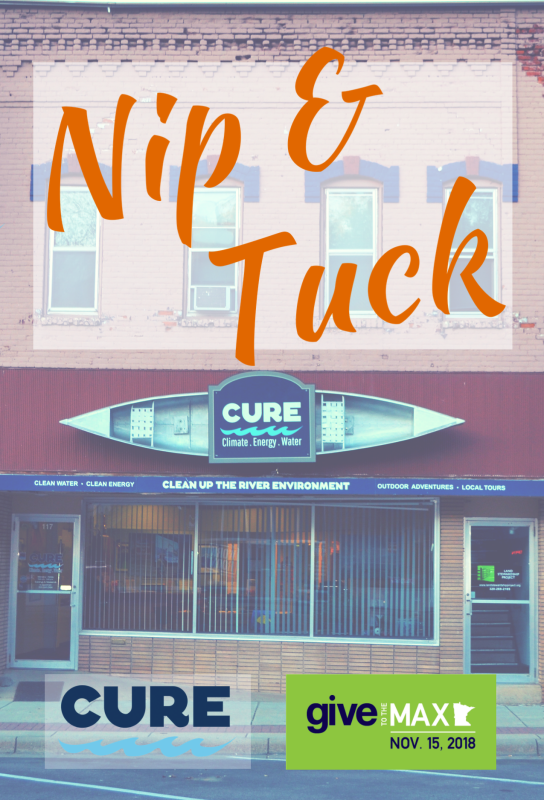 Thank you for investing in CURE’s “nip & tuck” to keep our building, and rural communities strong!